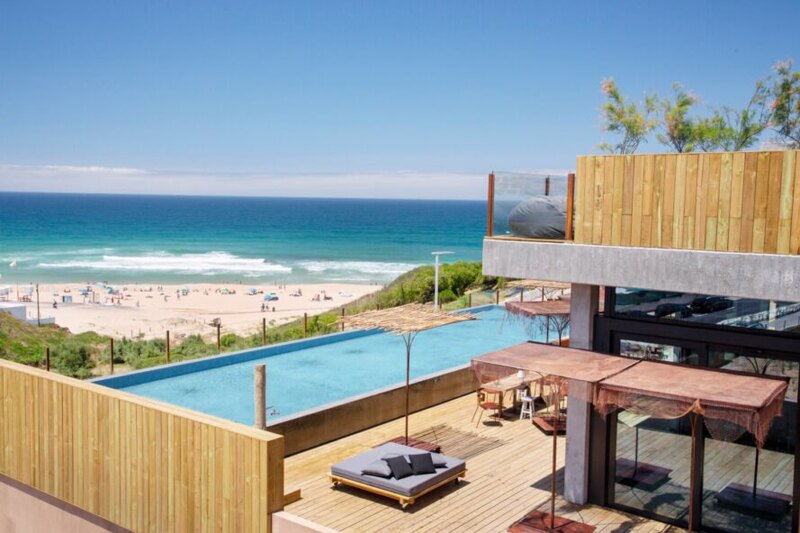 The surf is always up at this gorgeous eco hotel along Portugal’s Silver Coast. Just steps away from the beach, Noah Surf House has everything you need for a rad surf getaway. 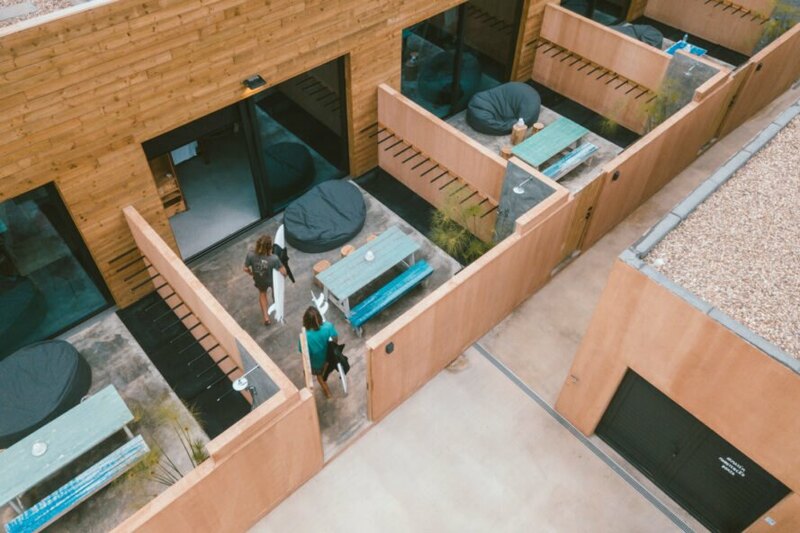 The boutique hotel, which is partially made out of reclaimed materials, was designed on some serious sustainable principles, boasting solar panels, energy-efficient systems and appliances, a rainwater harvesting system and even an organic garden that provides delicious meals to guests. 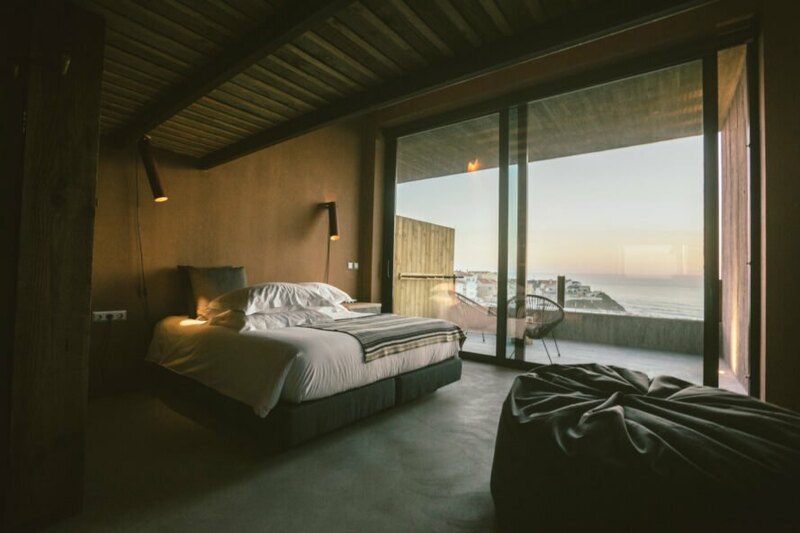 Located in the area of Santa Cruz in northwest Portugal, the eco hotel is tucked into a rising hill just a short stroll from the beach. The project is made up of various buildings, but the most popular part of the complex is a restaurant that overlooks the ocean. 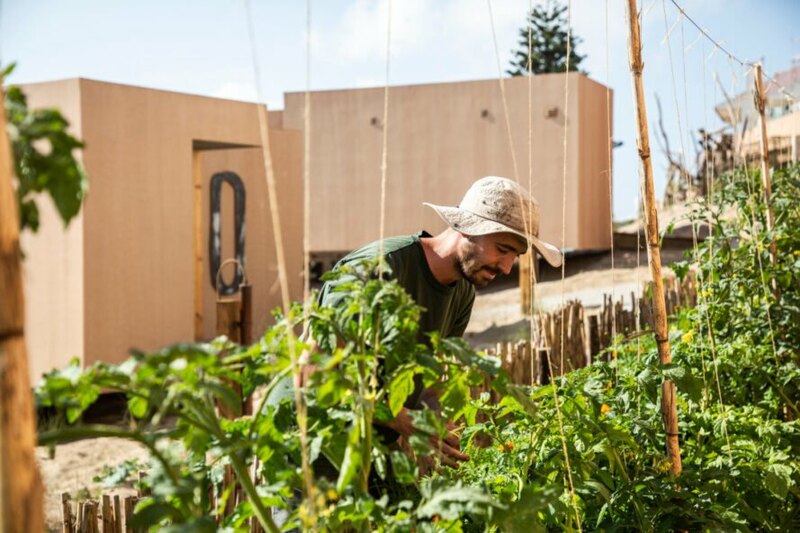 Guests can enjoy a wonderful meal of organic fruits and veggies grown in the hotel’s garden, which operates on a “closed feeding cycle” with a little help from the hotel’s 12 chickens. The guests rooms are comprised of various boho-style bungalows, most offering stunning ocean views through private decks. 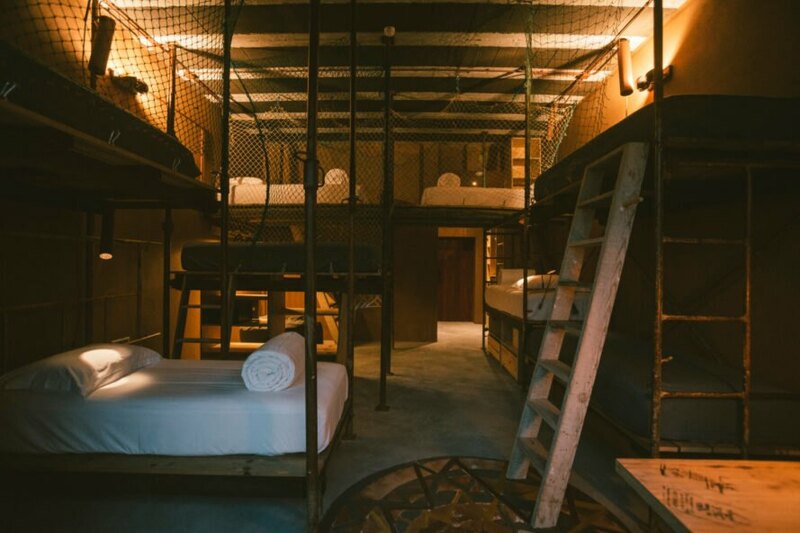 The rooms range in size, offering everything from dorm-style with bunk beds to private luxury bungalows that boast fireplaces and private terraces with outdoor showers. Although the setting itself is quite impressive, guests can rest assured that they are also staying in a very eco-conscious retreat. The hotel’s construction used quite a bit of reclaimed materials, such as old bricks recovered from industrial coal furnaces to clad the walls. Additionally, the buildings are filled with discarded items that have been given new life as decoration for the hotel. Plumbing pipes are incorporated into lamps, lockers from an old summer camp are available for storage and an old water deposit is now a fireplace in the reception area. The construction of the hotel implemented various sustainable materials as well, such as cork as thermic insulation. The bungalows are also topped with native plants. For energy, solar panels generate almost enough energy for the all of the hotel’s hot water needs. When there is an abundance of energy, it is used to heat the pool as well as the radiant flooring in the guest rooms in winter. LED lighting throughout the hotel and energy-efficient appliances help reduce the building’s energy use. Noah Surf House also has a rain water collection system that redirects water to a well to be used in toilet flushing, garden watering and linen laundering. Noah Surf House is located on Portugal's Silver Coast. 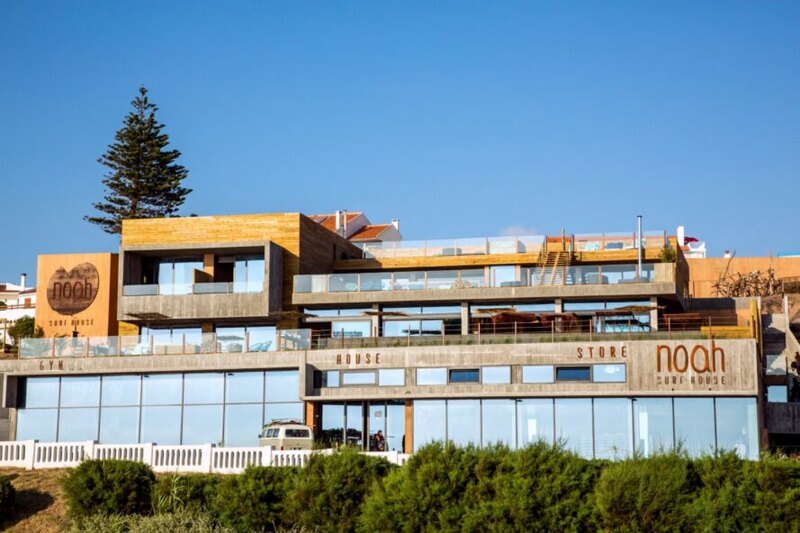 The hotel was built and designed to be a sustainable eco hotel for surfers. The property boasts a ton of green features, such as an infinity pool heated by solar power. The hotel boasts a large restaurant and lounge area. An all-glazed facade lets diners enjoy the ocean views. Guests can enjoy a wonderful meal of organic fruits and veggies grown in the hotel's garden. The guest rooms range in sizes from dorm-style rooms to private bungalows. The dorm-style rooms can have up to eight beds. The dorm-style rooms feature a boho-themed interior design. The more luxurious rooms offer large beds, outdoor showers, kitchenettes and more. The bungalows offers stunning views of the seaside. Sliding glass doors flood the interiors with natural light. Most of the bungalows offer private patios with seating. 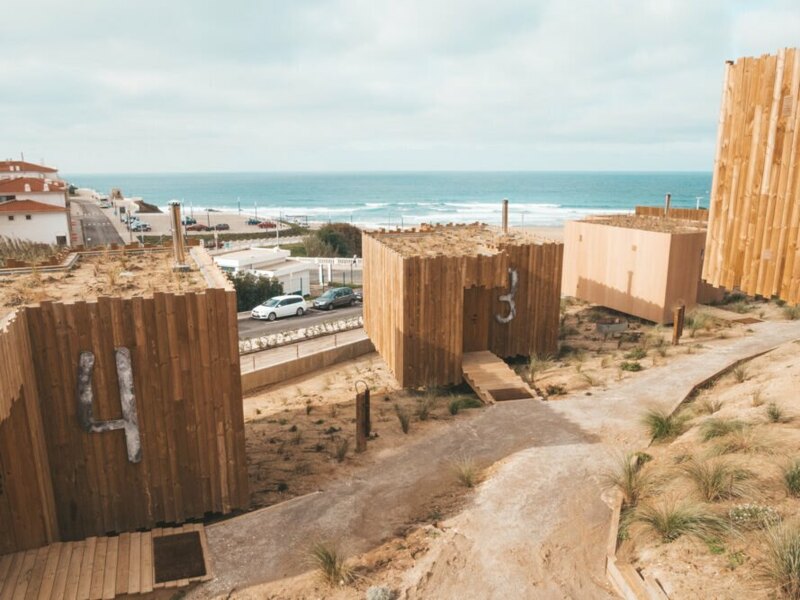 The eco hotel was designed to attract surfers who care about the environment. The boutique hotel provides guests with oceanfront views and easy beach access. The roofs of the bungalows are planted with native vegetation. There is an on-site skate park for guests. Most of the guest rooms have glazed front facades to take in the beautiful ocean views. The hotel embraces sustainability at every level.